It was a very intense day in the NFL Sunday after multiple fights broke out in 3 different games yesterday. But one fight has been the main topic because of how crazy it escalated. 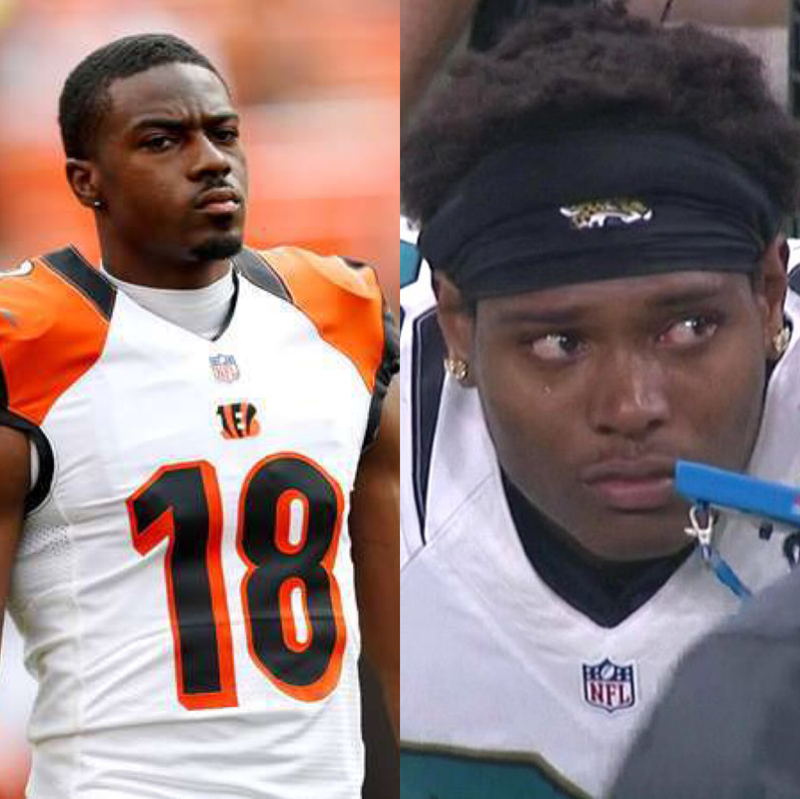 Cincinnati Bengals wide receiver AJ Green temporarily lost his mind yesterday after being shoved by Jaguars cornerback Jalen Ramsey. But AJ Green had EVERY right to. Jalen not only shoved him once he did it TWICE and kept taking cheap shots at AJ during their game against each other yesterday. In return AJ couldn’t take it anymore after the second shove and lost it. Green slams Ramsey In a choke hold then proceeds to punch him in his helmet and slamming him again. Ramsey’s teammates immediately jumps in some joining some trying to help break it up. Both players ended up getting ejected from the game. AJ Green later apologized to his team but not for defending himself. Ramsey did not talk to media after the game. You can’t continuously put your hands on someone and expect them to keep walking away. You can tell Ramsey just like us didn’t expect AJ to react that way hence him walking away so calmly after shoving him down. If you cover the Bengals or AJ Green you know that this is surprising and completely out of his character. Ramsey on the other hand always acts off of his emotions and has a history of showing them on the field. To me he needs to begin mandatory anger management or counseling because its clear he has a problem with controlling his temper. I hope AJ Green feels no regrets and understand that he act as a HUMAN and he didn’t disappoint anyone but the people who believes what Ramsey did was OK.
-Signed the girl in the stilettos.